Looks like the solar-power energy business is expanding in the US more rapidly than thought before. 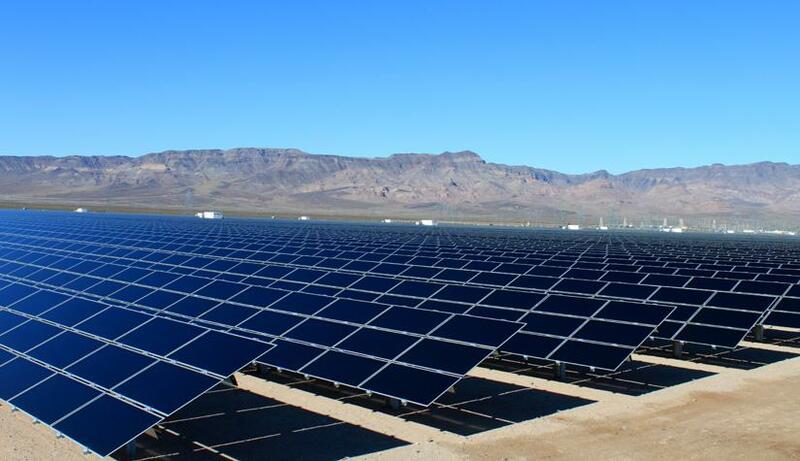 San-Diego based power generation company, Sempra Generation finished their construction of the largest photovoltaic solar power plant in the country. The plant is located in Boulder City, Nev., which is about 40 miles southeast of Las Vegas. The plant which puts out about 48-megawatts is at the Copper Mountain Solar facility and has 775,000 thin-film solar panels. This plant is good to power about 14,000 homes. US already has the world’s largest solar-thermal power plant which uses solar energy to heat up a liquid to steam which run the generators. This plant which is in California’s Mojave desert produces about 354-megawatt of electricity. Sempra is also on the road to build a 200 MegaWatt solar farm in Kern County, Calif., and is planning to construct a 600-MW solar facility in Arizona next year. All this is great news for green activists and also for our planet! Pl avoid statements that sound flippant and border on irresponsibility to the effect that solar plants would supply power for so many thousand homes. Everyone knows that these solar plants will not generate power when the sun does not shine and during nights. It is not 24*7 power supply. The power distribution system is normally integrated with the grid so as to get power when solar panels do not work unless there is a massive investment in power storage systems. much misplaced enthusiasm on solar power does more harm to the sector than good.